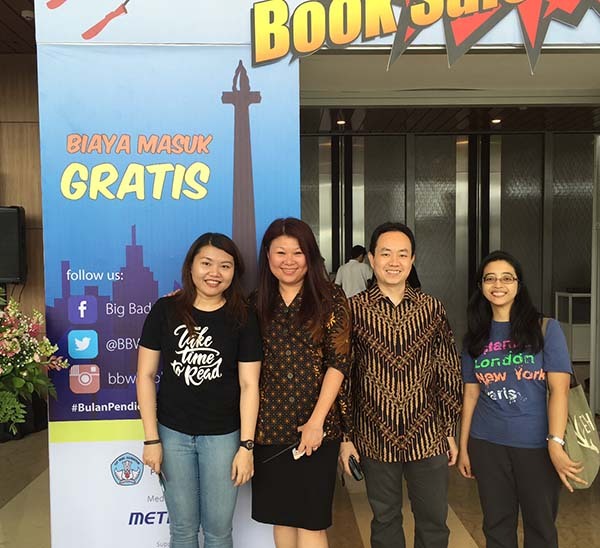 It's been great to spend time with some of you at the Indonesia Readers Festival 2015! We've received a lot of good feedback and enthusiasm from visitors, and we wish to continue this journey with you. In December, let's hang out together and close the year with full excitement and gratitude. Based on the majority votes last month, we are going to look into some books that remind us of the "past", and also the "future" that would shape the lives of our unborn children. Expect to hear reviews on books like the Pulitzer-prize winning book "The Prize: The Epic Quest for Oil, Money, and Power"written by Daniel Yergin, "The Black Swan: The Impact of the Highly Improbable" written by Nassim Nicholas Taleb, "The Future is Japanese" edited by Haikasoru, "And the Band Played On: Politics, People, and the AIDS Epidemic" written by Randy Shilts, "Elon Musk: Tesla, SpaceX, and the Quest for a Fantastic Future" written by Ashlee Vance, "Soeka-doeka di Djawa Tempo Doeloe" created by Olivier Johannes Raap, "A History of the World in 6 Glasses" created by Tom Standage, "The History of the Church from Christ to Constantine" written by Eusebius, the historical novel "Para Priyayi" written by Umar Kayam,"Jakarta: Sejarah 400 tahun" by Susan Blackburn, and more (to be updated). IMPORTANT NOTE: Since we have 10 books or more to be discussed this month, we'll keep the review short (3-5 minutes each). We have a limited quota of participants. Don't forget to bring a valid ID card (KTP/ KITAS/ driving license) to obtain an access card into the building. We will prioritize people who have RSVPed on this website or Facebook group to come in until 11:15. PS. RSVP is full, but you can still sign up on our waiting list or join our next meetup in January! There will be food, snacks and drinks. We provide a donation box if you would like to chip in for our snacks and drinks for the next meetup.